[U-23 Asian Games] held in Indonesia. HEROE athlete, Jun Okano has made a loan transfer to J2 [Oita Trinita]. We hope the success for him in the game. HEROE athlete, Sergio Escudero has made a loan transfer to Korea K1 [Ulsdan Hyundai]. Keisuke Honda comes in on the 32th minute of the second half and makes a goal for Japan to draw the game against Senegal. Turkey, Portugal and Canada which will be held in France. 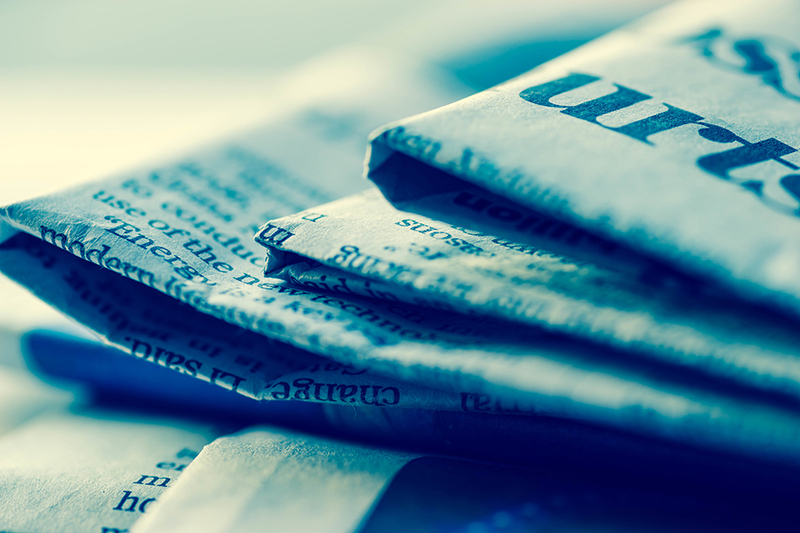 HEROE athlete Daisuke Suzuki publishes his second story with Newspicks. Keisuke Honda selected for the Japan National team. Keisuke Honda [CF Pachuca] has been selected for the Japan National team which will play against Mali and Ukraine starting on the 19th of March. Yuta Nakayama [Kashiwa Reysol] has been selected for the U21 National team which will play against Paraguay U21/Venezuela U21/Chili U21 starting on the 19th of March. 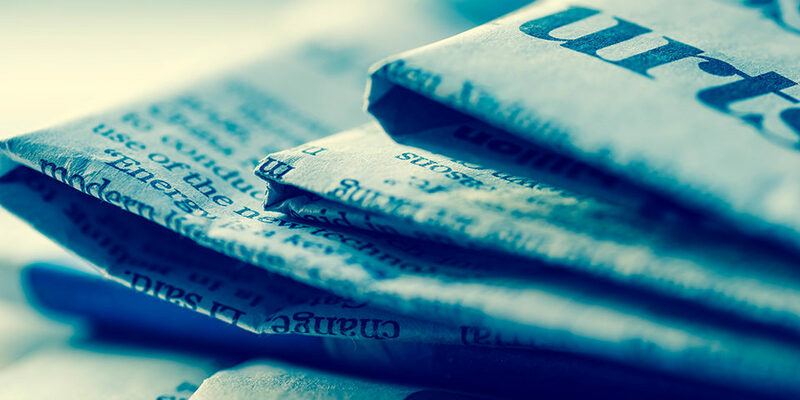 Suzuki has launched the posting in NEWSPICKS, such as tactics theory in Spain inside and outside Pichi. HEROE Athlete Yuta Nakayama receives JAPAN Pro Sport best Young Player Award. Yuta Nakayama receives the BEST YOUNG PLAYER Award at the 2017 J LEAGUE AWARDS which was held in Yokohama. HEROE Athlete Hiroshi Ibusuki makes a signing renewal with Jef United Chiba. HEROE Athlete Chikashi Masuda makes a signing renewal with Shimizu S-Pulse. HEROE athlete Kei Koizumi makes a permanent transfer to Reysol Kashiwa from Albirex Nigata. HEROE Athlete Hiroto Goya goes on a loan transfer to Vortis Tokushima. HEROE Athlete Teruki Hara has made a signing renewal with Albirex Nigata. Masato Yuzawa makes a permanent transfer to Ventforet Kofu. HEROE Athlete Masato Yuzawa makes a permanent transfer to Ventforet Kofu from Kashiwa Reysol. HEROE Athlete Ryota Aoki makes a signing renewal with Nagoya Grampus. 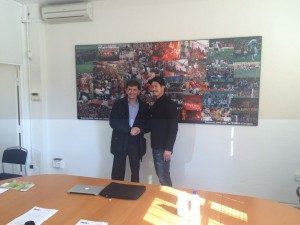 HEROE Athlete Sergio Escudero makes a signing renewal with Kyoto Sanga FC. HEROE Athlete Yuta Nakayama (Reysol Kashiwa) and Ryota Aoki (Nagoya Grampus) was selected for the『TAG Heuer YOUNG GUNS AWARD』. HEROE athlete Jun Okano makes a sigining renewal with Jef United Chiba. Kei Koizumi(Albirex Nigata), Yuta Nakayama(Kashiwa Reysol) and Ryota Aoki(Nagoya Grampus) are nominated for the 『TAG Heuer YOUNG GUNS AWARD』. The 『TAG Heuer YOUNG GUNS AWARD』is the award of selecting the Best 11 from the J-League which are under 23years old. These three players were selected for the 30 candidates of the nomination. After a great success in Korea and UAE, Chikashi Masuda has chosen Shimizu Espulse for his new challenge. Great to announce Ryota Aoki, midfielder for Nagoya Grampus has joined HEROE Football Management. 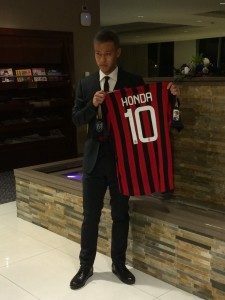 The Japanese national team striker Keisuke Honda has chosen his next step to play for C.F. Pachuca for a permanent transfer. Willing for the League champions, C.F. Pachuca will also be playing in the Club World Cup which will be held in UAE, December 2017. We hope the best for his new start. After a great season in Korea and SV HORN(Austria), Nicolas Orsini has made a loan transfer to J2 Fagiano Okayama. The fast goal getter is ready to score. New Player: Jun Okano(Jef Chiba) joins HEROE. Great to announce Jun Okano defender for Jef United has joined HEROE Football Management. Hope his success and to reach the 2020 Tokyo Olympic Games. FIFA U-20 World Cup Korea Republic 2017. For more details, please check below. For more detail, please check below. Teruki Hara became a new client of our company, HEROE. As of now, He is belonging to Albirex Niigata. Great to announce our FW Hiroshi Ibusuki, permanent transfer to Jef United Chiba. After experiencing a couple of seasons in Spain, this will be a great challenger for him for his career. Great to announce our FW JOAQUIN OSCAR LARRIVEYSE, permanent transfer to Jef United Chiba. Goal getter Joaquin, joining Jef United Chiba. striker of Kyoto Sanga FC. Great to announce our GK Daichi Sugimoto, permanent transfer to Yokohama. F. Marinos. After experiencing the 2016 Olympics for the U23 Japan national team, this will be a great challenge. 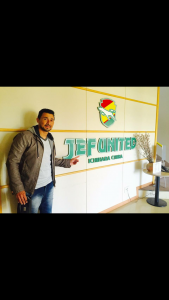 Great to announce our striker Salinas(Paraguay) to join Jef Chiba. He contributed last season, marking 11goals. In new team, he will be key player more than last season!! to get more opportunities in this season. we wish all the best!! Great to announce the contract renewal for player Takahiro Kunimoto. This will be a big challenge to join the U20 Japan national team. 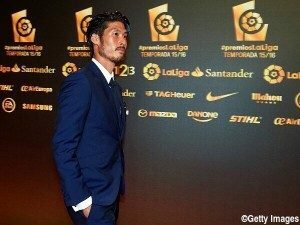 Akihiro Ienaga was nominated the 2016 J.League Awards. Daisuke Suzuki was nominated Gala Premios award 2015/2016. 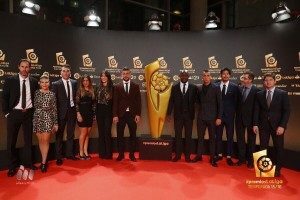 Category of best defender in the Second Division. Yuta Nakayama became a new client of our company, HEROE. As of now, He is belonging to Kashiwa Reysol. 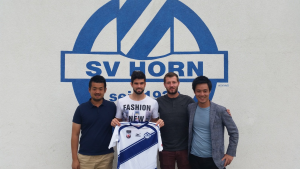 We inform, Nicolas Orsini signed with SV HORN SV HORN as rental. For more detail, please check this. 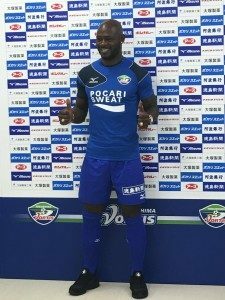 Achille Emana become a new player of Tokushima Vortis. Daichi Sugimoto who belongs to Tokushima Vortis was nominated for Japanese National Team of Rio Olympics 2016 as back up member!! Portugal trip as additional member.He is going to join to the Training camp from trip.22-28, March. He also Contributed to the win!! Daichi Sugimoto who belongs to Tokushima Vortis was nominated for U-23 Japanese National Team for for U-23 Japanese National Team for Portugal trip. He is going to join to the Training camp from trip.22-28, March. After 4 Seasons,he backed to J League!! We inform, Nicolas Orsini signed with Tokushima Vortis and his Transfer. It`s going to be his first experience in abroad. New challenge is starting already!! Masato Yuzawa became a new client of our company, HEROE. We inform, Hiroto Goya officially signed with Gamba Osaka. Eduardo Aranda become a new player of Jef United. He is current National Team player of Paraguay. This year Will be held olympic 2016. It`s going to be important season for him. His first time plyaing in J2. He is expected to be a key player. We are expecting better performance than last year!! It`s going to be big challenge in J1. We all hoping that he can play as starting member!! The expectation is higher than last year. Obligated to make many goals!! He had to take a break in the end of last season,because of injury. Hoping this year will be good seanson for him!! Yuhei Sato became a new client of our company, HEROE. for U-22 Japanese National Team for his first time. He is going to join to the Training camp from 23-26, Aug.
and played the tournament held on July 2015 in Korea. Since 2016 season, he is going to play as a new member of Gamba Osaka. SBS cup in Shizuoka as a member of U-18 Japanese National Team. Also he has been playing in French league. Hiroto Goya became a new client of our company, HEROE. As of now, He is belonging to Kansei-Gakuin univ. Team. to Chinese club Jiangsu FC,from many offeres that he got. has renewed contract with Kyoto Sanga FC. signed with J2 league Avispa Fukuoka. He played in U-18 national team. So keep an eyes on him. He transferred from Jeju United FC (K league). so he will show us stable performance. dicided to move to Albirex Niigata from Valencia B.
That`s experinece will be proofed in Japanese pitch. Even though he had nice last season. way to K league Jeju United FC. His outstanding dribbling skill will be unstoppable. After having 4 seasons in Russia,he got huge reputation. His Stoic Attitude to make goal will be accepted for Milanese. He got 2 times as best player in inter-school athletics competition(japan). Let’s keep an eyes on his “speed Dribble”. He played in prestiged club in serbia Red Star Belgrade. Let’s keep an eyes on his play style as target man. to Vissel Kobe from Ulsan Hyundai FC. He got one reputation of “stable player”. Let’s keep an eyes on him. He has praised because of his outstanding performance in omiya ardija. Now he is moving to South Korean club Ulsan Hyundai FC. Let’s keep an eyes on his strong Physical Contact. He made a nice season because of his Strength and ball keep. but with his good-natured person will be adapted. Copyright©HEROE Co.,Ltd. All Rights Reserved.